When you ain’t picky. Anyway, note how I establish Resurrected Head Alien doesn’t clearly remember the events immediately prior to his death. This is important! 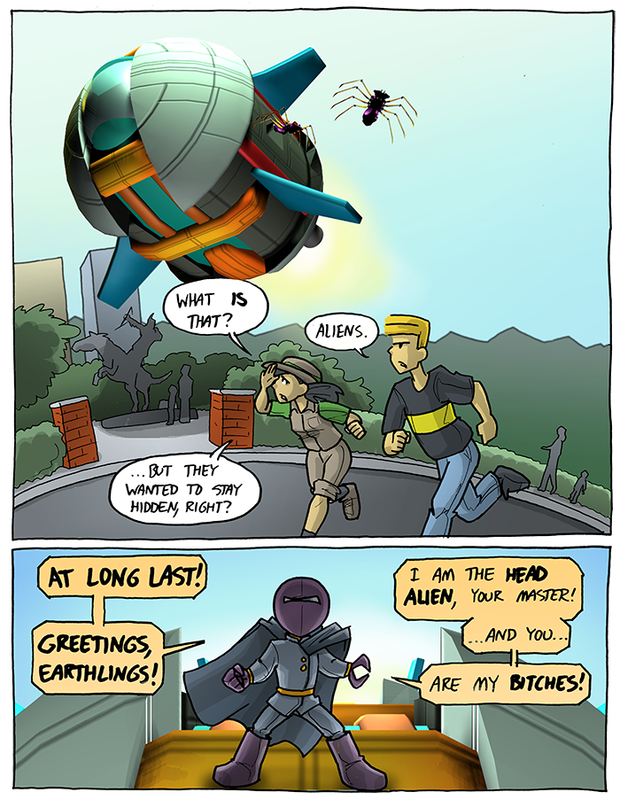 The Head Alien in five panels.